1. 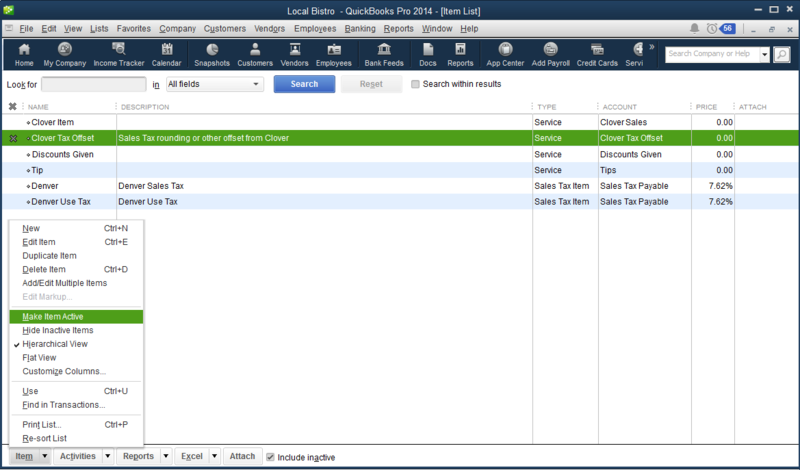 In QuickBooks Desktop, go to Lists > Item List OR click Items and Services in Home. Your Item List appears. 2. In the bottom navigation bar, select Include Inactive (if this is not already checked). 3. Click the Item menu in the lower left hand corner and select Make Item Active. Alternatively, you can open the inactive item and uncheck Item is inactive. After reactivating the Item(s), be sure to manually sync Commerce Sync for Desktop. 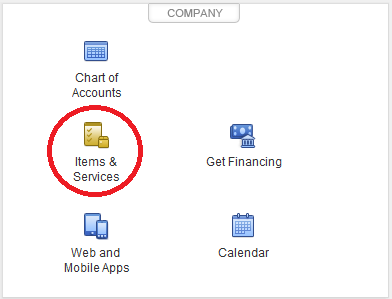 This ensures that Commerce Sync has access to the newly reactivated Item(s).